Looking for a USED CT500? The CT500S is a specially designed, large capacity CNC EDM drilling machine. Its fixed-bridge design enables extremely accurate positioning and drilling. The CT500S features precision linear balls ways on its X, Y and Z axis for trouble- free operation. 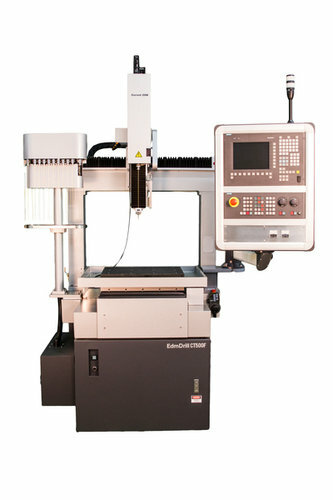 Current EDM is a leading supplier of high-speed EDM drilling machines. With more than 12 models to choose from, Current EDM continues its commitment to design and develop the most reliable, cost-effective and technically advanced line of EDM drilling machines. 8 ModelsView more about Current EDM, Inc. Looking to Purchase a New CURRENT EDM CT500?